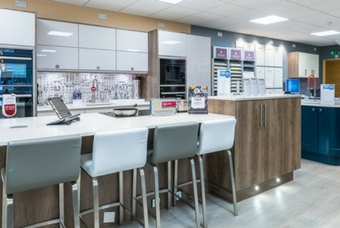 Welcome to Sydenhams Kitchens and Bathrooms Showroom, based in our Salisbury Builders Merchants. Featuring the latest Kitchen designs from English Rose & Sheraton, and appliances from NEFF. We also have on display Bathroom brands such as Roper Rhodes, Roca & Matki. With the latest displays, come in and see what we can do for you!